Lego Marvel Collection Announced with Release Date | Nerd Much? If you’re a Marvel fan but have steered away from Traveler’s Tales’ fantastic Lego Marvel series, your time has come. 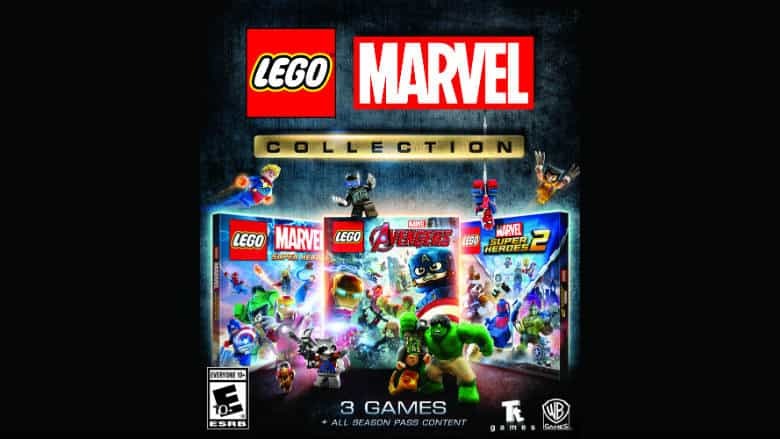 Warner Bros. Interactive Entertainment has announced that Lego Marvel Superheroes, Lego Marvel Superheroes 2 and Lego Marvel’s Avengers are being rereleased as the Lego Marvel Collection for PlayStation 4 and Xbox One. And the package is arriving sooner rather than later. The first of the titles, Lego Marvel Superheroes, released in 2013 for pretty much every platform at the time. It sports the majority of Marvel’s most iconic superheroes as they do battle with supervillains such as Doctor Octopus, Green Goblin, Red Skull, Venom, Loki and even Galactus. It’s sequel, Lego Marvel Superheroes 2 arrived in late 2017. This time a hub world known as Chronopolis was created which is a combination of 17 different Marvel locations. Iconic comic locales such as Asgard, Knowhere, Manhattan, Wakana, Xandar and many more were combined to form the city. And the plot saw even more superheroes than were in the first installment attempting to thwart Kang the Conqueror in a battle across both space and time. In between Lego Marvel Superheroes and Lego Marvel Superheroes 2, Traveler’s Tales focused on the Marvel Cinematic Universe and developed Lego Marvel’s Avengers which released in 2016. Instead of the unique story that the developers came up with for the other two titles, Lego Marvel’s Avengers loosely adapted the events of the films The Avengers and Avengers: Age of Ultron. You certainly aren’t limited to just the movie rosters though, as over 200 playable characters were incorporated into Lego Marvel’s Avengers. And you’ll play through 8 different locations from the movies, including Asgard, Barton’s Farm, Malibu, the S.H.I.E.L.D. Base Exterior, Sokovia, South Africa and Washington, D.C. There were numerous DLC packs that released with these titles throughout the years as well. And Warner Bros. and TT Games confirmed that they’ll all be thrown into the Lego Marvel Collection for free. It’s a hell of a package if you haven’t given the titles a whirl before. The Lego Marvel Collection is arriving for PlayStation 4 and Xbox One on March 12th.